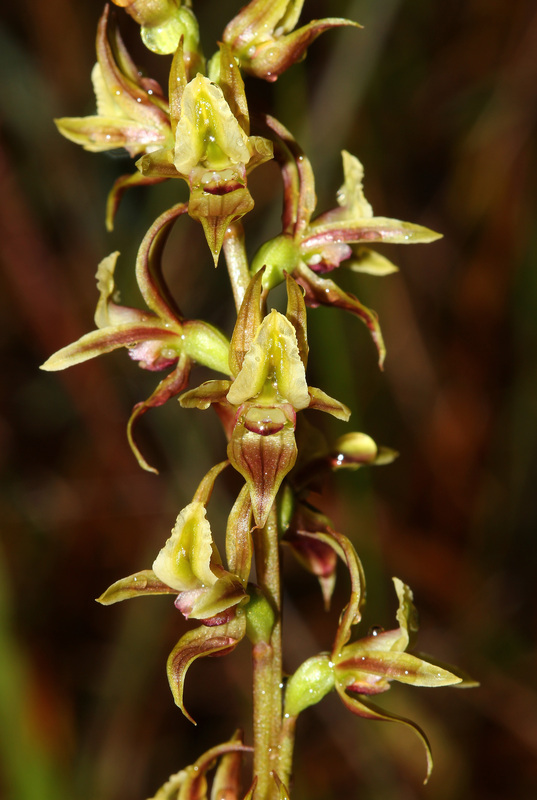 In 2017 while conducting a survey in Northern NSW as part of a project funded by the NSW Office of Environment and Heritage, Senior Eco Logical Australia Botanist Lachlan Copeland was delighted to unexpectedly discover a completely new species of orchid. The orchid (Prasophyllum copelandii) has since been named after Lachlan. To celebrate we caught up with Lachlan to find out more about his discovery! Why did you become a botanist? I’ve always had a love of nature (both plants and animals) so I decided to study biology and have now been lucky enough to work with both flora and fauna. How did you come to discover the orchid? I was doing a targeted survey of another threatened orchid (Diuris eborensis) as part of a project funded by the NSW Office of Environment and Heritage. I not only found the species we were originally after but also discovered the new species at the same time. Did you realise at the time that it was a completely new discovery? Yes - I was pretty confident it was new as soon as I laid eyes on it. It’s in a group of plants I’m particularly fond of (the genus Prasophyllum, commonly known as Leek Orchids) and I’m familiar with all of the Leek Orchids in northern NSW. I immediately knew it was different to all of the known species for many hundreds of kilometres so I just needed to check a few other very distant species when I got home and got access to my references and maps. How does the naming process work? The naming of new orchids, and all other plant species, involves submitting a scientific paper for publication to a reputable journal. The manuscript needs to fulfill certain criteria such as providing the new proposed name, describing the features of the new plant in considerable detail, saying how it differs from other related species, and citing a “Type Specimen” to which the name is applied. If the manuscript is accepted for publication the name is still not official until the journal publishes the paper which can often take months or even years. How does it feel to have an orchid named after you? It’s flattering to have a species named after you and I see it as a reward for lots of hard work and voluntary work on the taxonomy of Australian plants. In this case it’s also in my favourite genus of plants which makes it even more special. Can you tell us about the SoS program? The SoS program (“Saving our Species”) is an initiative by the NSW State Government to assist in the conservation of our many threatened species. The program is run by the NSW Office of Environment and Heritage and covers actions in the field such as fencing off threatened plant from excessive grazing, and controlling feral animals and environmental weeds. Fortunately it also provides some funding for baseline surveys to gather scientific data and better understand some of our poorly known species. What does it mean for this area to have discovered such a rare orchid? Fortunately the new orchid (Prasophyllum copelandii) occurs in land recently acquired by the NSW National Parks and Wildlife Service so it will be managed for conservation. However we only know it from about 15 plants and its habitat is currently being damaged by feral pigs so the species can be considered critically endangered and at serious risk of extinction. Getting this plant recognised, and understanding its plight, will greatly assist in conserving the species. What are your future projects for ELA? I have lots of other threatened species surveys on the horizon which will keep me busy until the end of 2018 at least. Of the 10 or so species I’ll be researching four of these are endangered orchids which are my favourite plants to work on!